that was designed as a cost-effective all-in-one cellular solution for mid-sized to small businesses. It combines PCS and Cellular dual-bands with LTE and AWS frequencies for Verizon, AT&T and T-Mobile as a total cellular amplification solution. For maximum flexibility, this full-featured signal booster/amplifier includes adjustable gain control and automatic shutdown. Extremely competitively priced, it requires 1/5th the space requirements of its competitors and is a fraction of the cost compared to similar amplifiers with its capabilities. 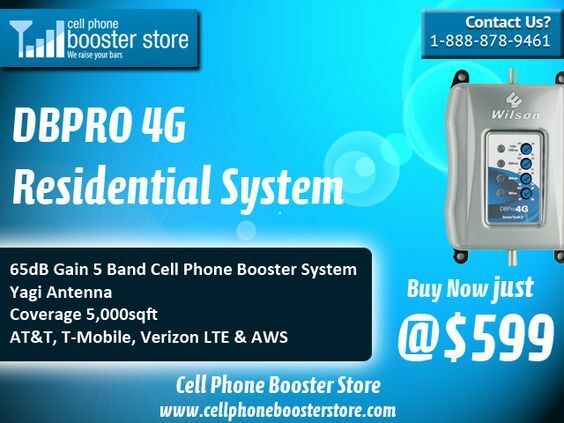 This device is ideal for locations with a low cellular data and voice signal. It covers upto 10,000 square feet. The Fusion-5 amplifier apart from the list mentioned below requires at least one outside antenna, one inside antenna, and cables to connect the antennas to the amplifier in order to operate.